Polish fans threatened Ukrainian nationalists with death and pledged to bite off a piece of Ukraine before the very eyes of a deputy mayor. Polish rugby fans "welcomed" their Ukrainian guests with aggressive banners demanding the city of Lviv back and threatening to kill Bandera followers. Despite the vice mayor's order, security forces refused to take any action, newspaper Gazeta Wyborcza reported. Krzysztof Komorski, the deputy mayor of the town of Lublin where the match took place, told security forces to tear down the provocative banners. "The banner contained ultra-rights slogans and called for violence. We had to intervene," he said. But the law enforcement, however, rejected to fulfill the order due to the crowd's aggressive attitudes. Where men fail, women succeed: five brave girls dismantled the banners despite the fans turning the air blue. Lviv, the city fans pledged to take back, belonged to Poland, later to Austria and returned to Poland after World War I. Nazis captured Lviv at the beginning of World War II. The Soviet Army liberated it in 1944 and the city joined Soviet Ukraine. The EU Association Agreement signed by Kiev stipulates that Ukraine has to settle all property disputes with other EU states. 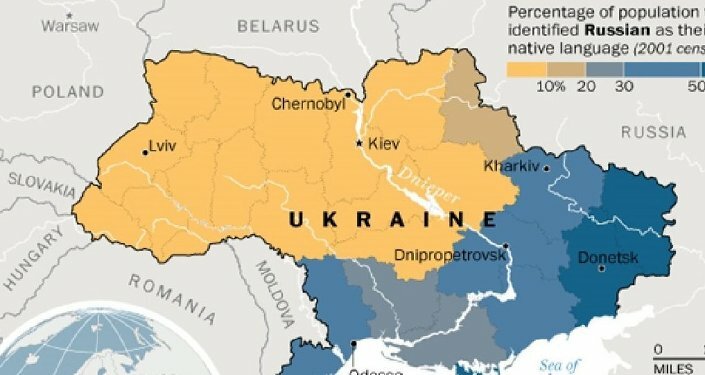 Some Polish analysts think that Warsaw has legal rights on five of Ukraine's Western regions, including the Lviv Region. 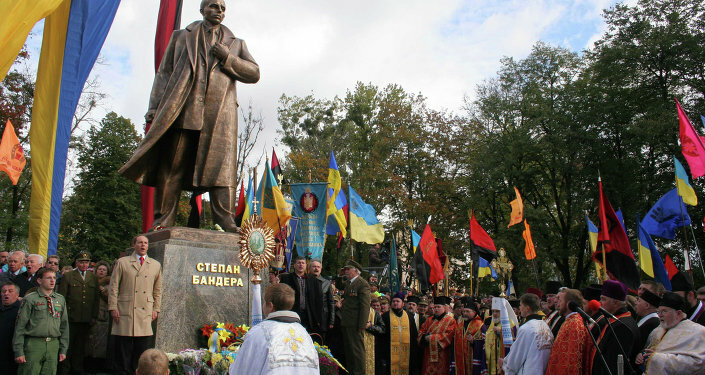 Stepan Bandera, whose followers were addressed by the fans, was a Ukrainian nationalist of World War II. His grouping OUN-UPA (Organization of Ukrainian Nationalists — Ukrainian Insurgent Army) collaborated with the Nazis and is blamed for the murder of up to 130,000 Poles by Warsaw. Ukraine won the match 20 — 17.